6 In summary, is Marseille worth visiting? KB and I flew to Marseille from Amsterdam arriving quite late on Friday evening. 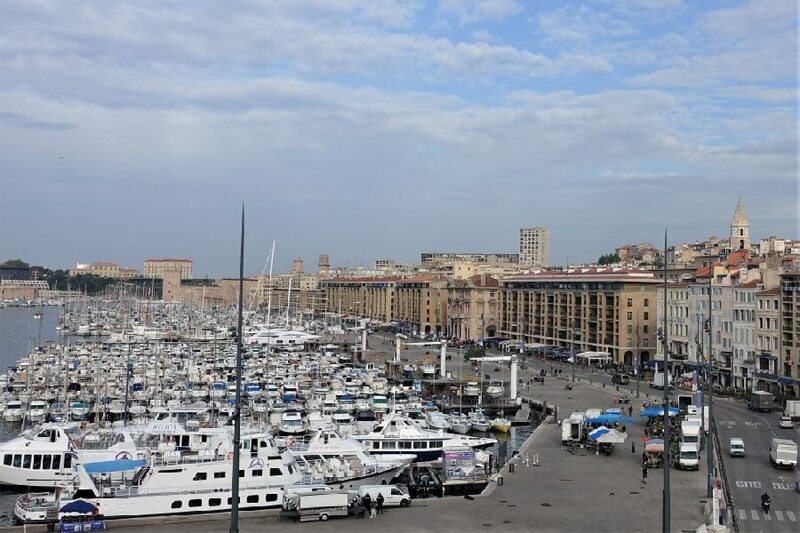 The airport is quite a distance from the city (in fact it seemed to be about half way to Aix-en-Provence), but given it was so late, the €60+ taxi fare to the Vieux Port was money well spent in our opinion. If you are travelling from Paris to Marseille you will find the train a much better option than the plane. 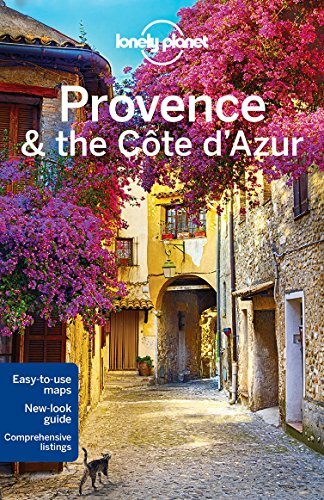 The Paris to Marseille train is a TGV which will drop you at the central St Charles station (from the Gare de Lyon in Paris) in about three hours. 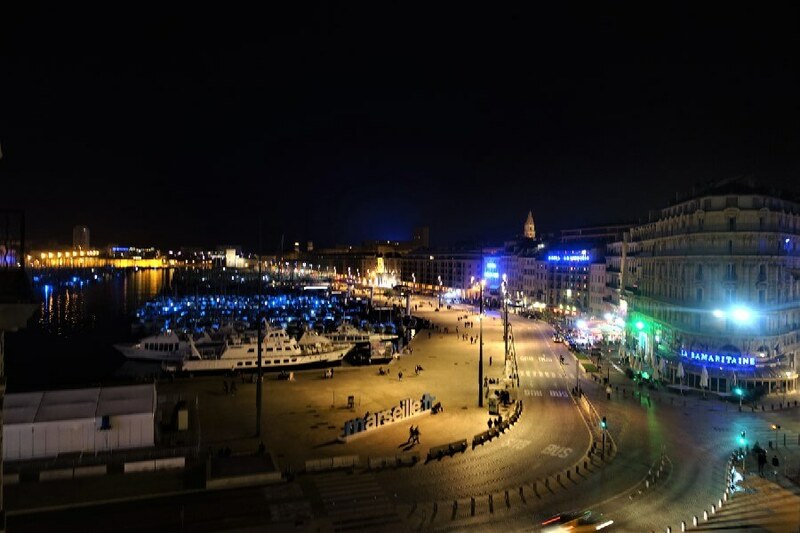 We stayed at the Escale Oceania Marseille Vieux Port centrally located at the Vieux Port. Arriving at almost midnight, our long day’s travel was well rewarded with the magnificent night time view from our hotel balcony. 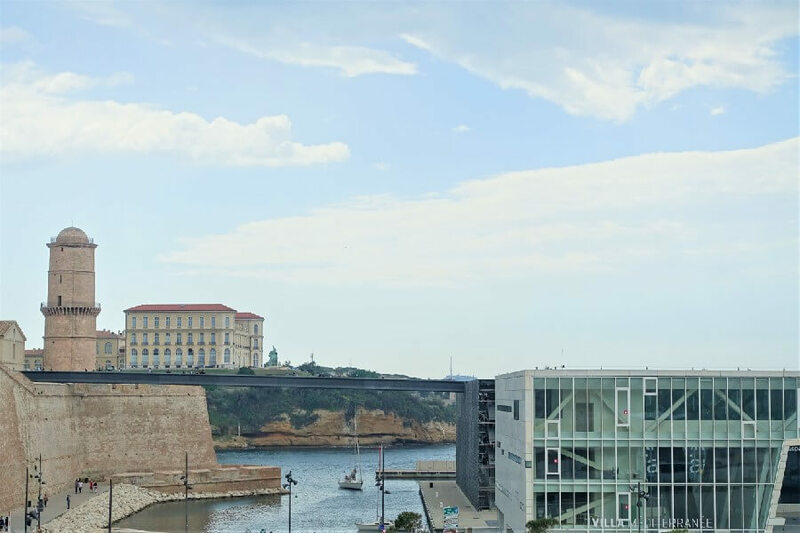 While there are literally hundreds of Marseille hotels, I think the best places to stay in Marseille are around the Vieux Port area. It’s a vibrant part of the city, with easy public transport access, and close to most of the places you will want to visit on a weekend in Marseille. Although it is one of the largest cities in France, most visitors will focus their Marseille sightseeing around the Vieux Port area. Given it was Saturday we decided to start our Marseille sightseeing with a typical French Saturday morning activity – a trip to the market. 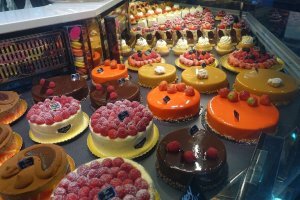 While there were a number of options nearby, we went for the Marché Place Jean Jaurès, on, you guessed it, Place Jean Jaurès. Choosing it because it was in an “up and coming” neighbourhood, we weren’t disappointed. 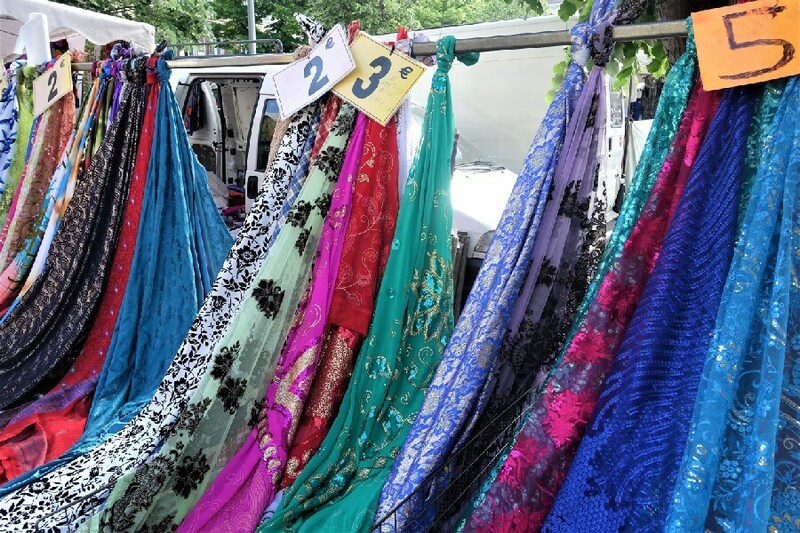 In addition to the usual fruits and vegetables, we loved the North African stalls with their vibrant coloured clothes. 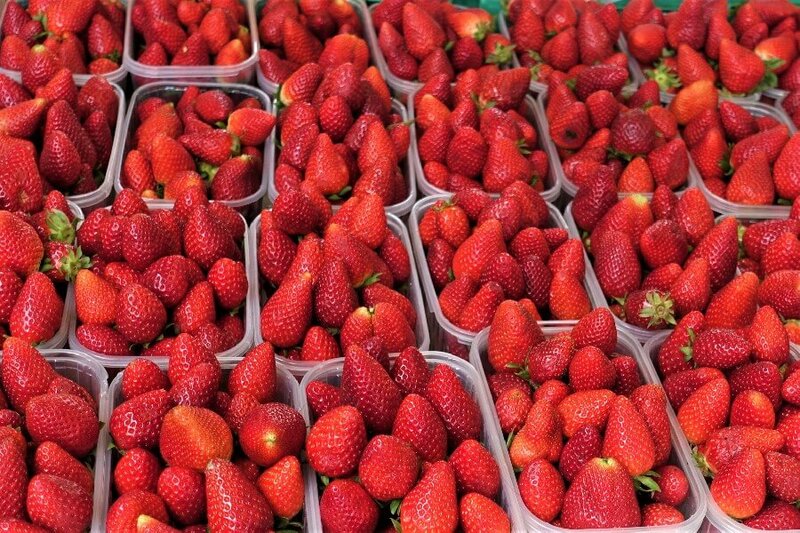 It reminded me a bit of the Marché Barbès in Paris, but without the attitude. Le Panier is probably one of the most popular things to see in Marseille, so after the market that was our next stop. Le Panier is an old Marseille neighbourhood on the south western corner of the Vieux Port area. It’s a place to do what I love to do – get lost. 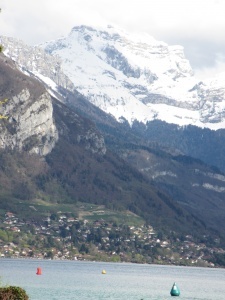 You don’t really need a map for Le Panier – just wander in, and use your map to pick out some of the obvious landmarks. 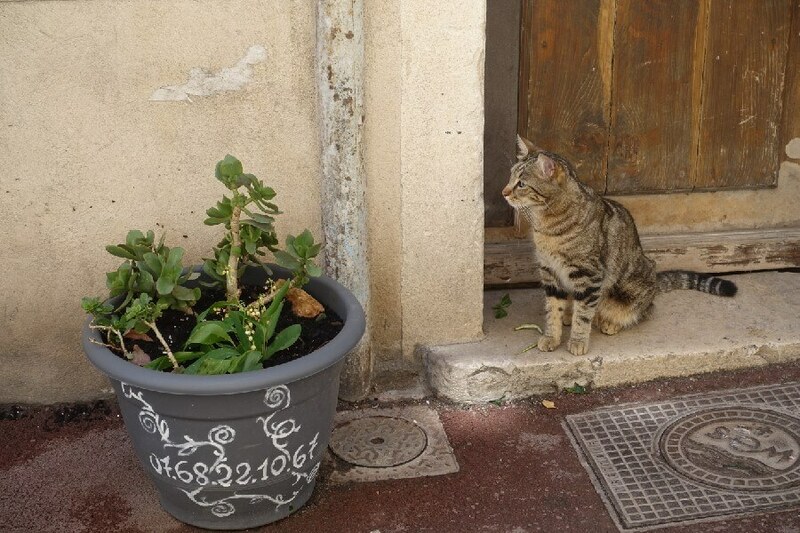 Some of the streets can definitely best be described as “gritty”, but others are pure, pretty Provence. 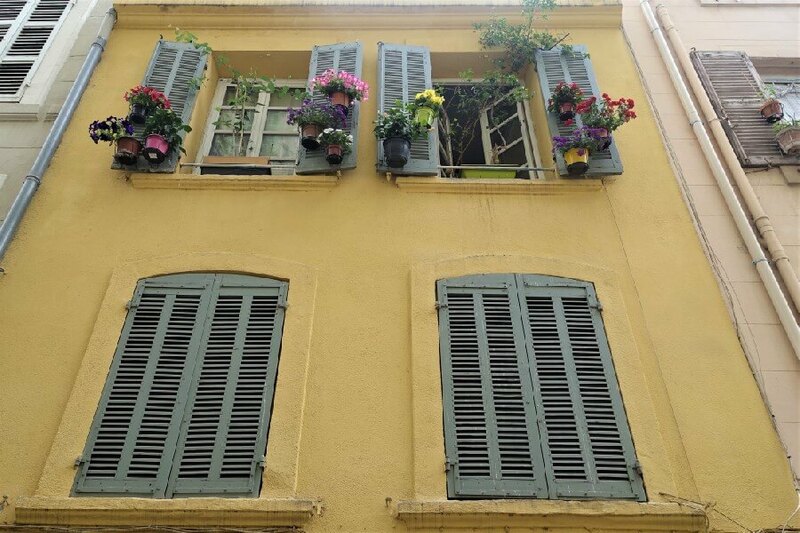 What I particularly loved were the flower pots suspended on shutters, which I’d not seen elsewhere in Provence to my memory. In addition to the pretty buildings and artisan shops, we particularly enjoyed our visit to the Centre de la Vieille Charité, an 18th century workhouse which is now an exhibition space. It was quiet, and very enjoyable to wander around the cloisters (and provides some very welcome shade on a warm afternoon). Having been the European city of culture in 2013, the art museums are among the most popular Marseille attractions, with a number of new options down by the Vieux Port. 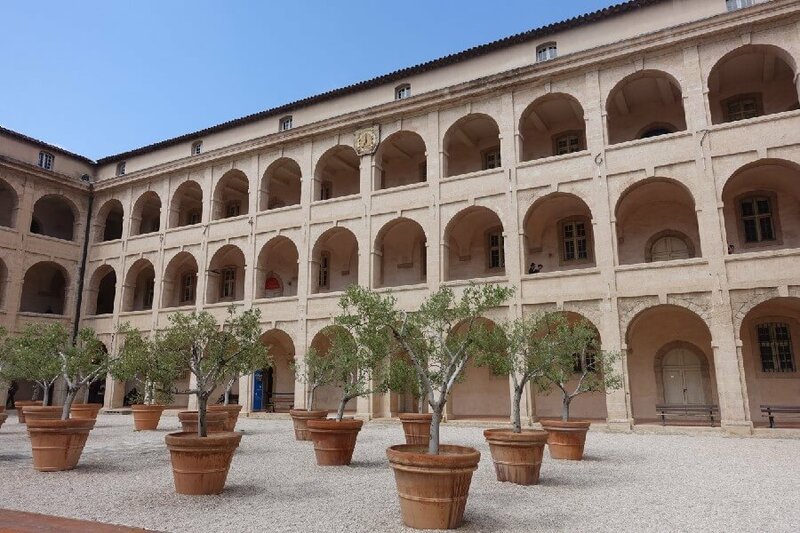 There was an Ai Wai Wai exhibition at the Villa Mediterranée but with so many other Marseille attractions we decided to pass on the art, and enjoyed exploring the older attractions in the Vieux Port and Panier area, such as the Fort St Jean and the very Italianate Cathédrale de la Major. Because we only had limited time we decided to concentrate our efforts around the Vieux Port and Le Panier, so we also passed on the Basilique Notre-Dame de la Garde. The lighthouse. Don’t you love the colour of the water? 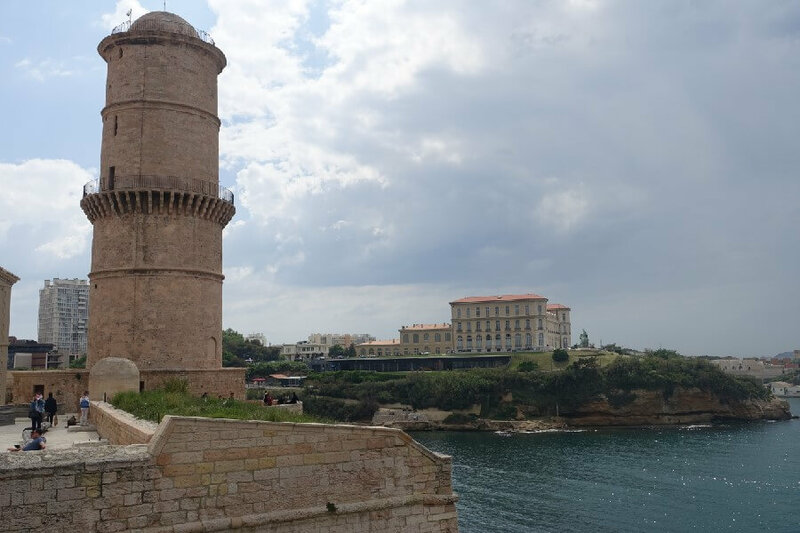 Because we managed to find so many things to do in Marseille in one day, we decided that a day trip, rather than exploring the city further was in order for Sunday. Plus the weather was going to be great, so we wanted to be out and about. There are plenty Marseille day trips you can take. Many people will recommend the nearby Calanques for swimming and hiking, but we decided to go further afield. Passing on Aix-en-Provence where we had both been before, KB and I took the 30minute train trip to Cassis just east of Marseille. 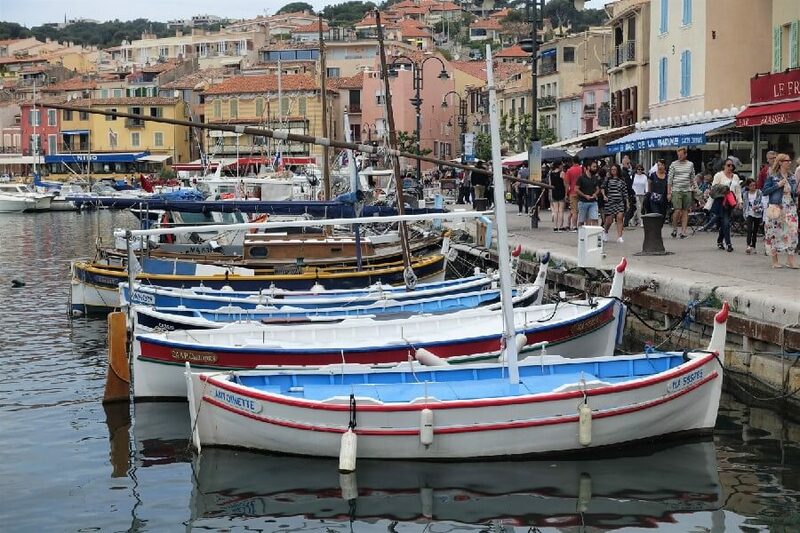 I’ll be writing about Cassis in more detail on a future post, but in summary, we had a fun day enjoying this pretty seaside town – which is very easily visited as a day trip by train. There were some enjoyable shops, pretty squares to sit in, and quaint Provençale streets to wander. We enjoyed another local craft market on the foreshore before one of the best lunches ever at Café Gilbert, where we sat next to the friendly Frederique and Bernadette, a couple from Marseille. 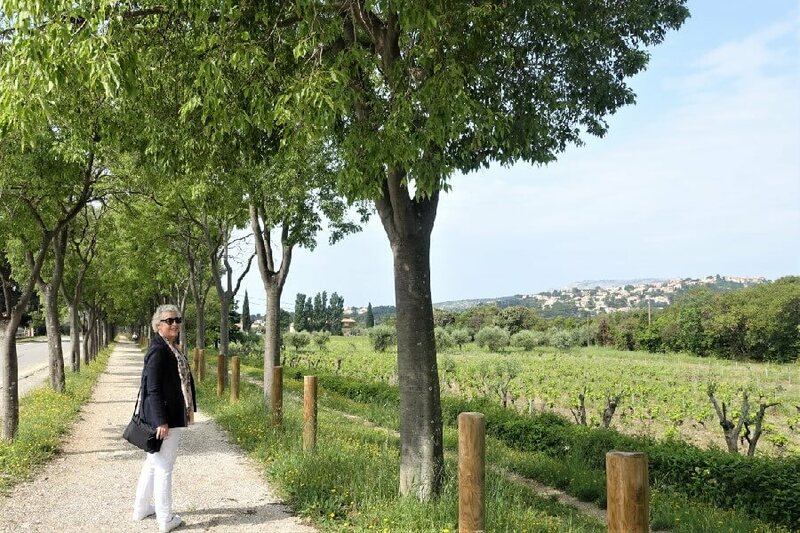 We had such fun chatting with them, half in English, half in French, while we enjoyed our lunch and some of the local appellation controllée Cassis wines. 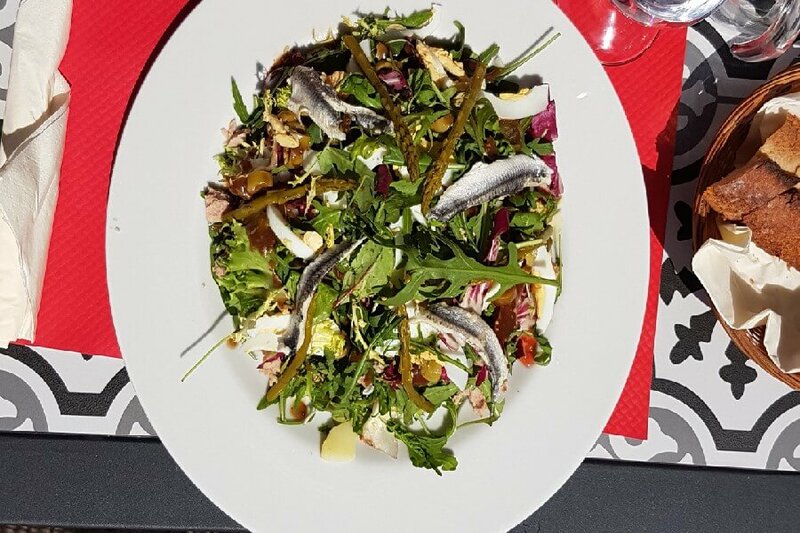 Obviously with just one weekend in Marseille, we are definitely not experts on the Marseille food scene. But having said that, we ate extremely well. Our lunch on Saturday was in Le Panier, at an outdoor café on the courtyard opposite the Centre de la Vieille Charité (I’m sorry, I didn’t get what it was called, but it was the first café on the left as you face the courtyard.) Our waiter didn’t speak English, but he went through the menu nice and slowly so I could translate for KB. The menu was a mixture of burgers, quiche and salads. We both ordered salads and were not disappointed. With a glass of local red wine, we passed a delicious and relaxing lunch. We found an absolute treasure quite by accident for our dinner on Saturday night. After the market on Saturday morning we found a café to sit and enjoy a coffee away from the market crowds at the bottom of the cours Julien. Our waitress happened to be a young Australian woman, married to a local. She recommended the Bistro du Cours a little further up the street at number 13 for dinner. And boy, what a recommendation…..
We arrived a little early for our reservation, so wandered into the Le Tire-Bouchon wine bar next door at number 11 for a pre-dinner drink (owned by the same people as the restaurant we discovered). We sat up at the traditional zinc bar and sipped a vibrant pinot noir that the waiter recommended. He spoke English well, and we spent a lively time chatting with him while we enjoyed our drink and waited for our booking. Le Tire-Bouchon had a good range of bottles available for take away at reasonable prices, so it’s a good place to buy some nice wine to enjoy back in your room or as part of a picnic. We sat outside for dinner, and again, I’m sure we were the only tourists in the place. The menu was a fixed price table d’hôte with a choice of just three entrées (appetizers), three mains (entrées) and four desserts (including a cheese plate). 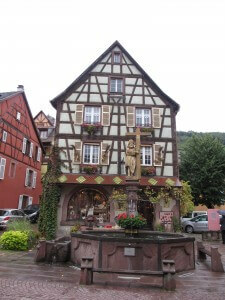 The menu was not translated into English, but our waiting staff did speak some English. 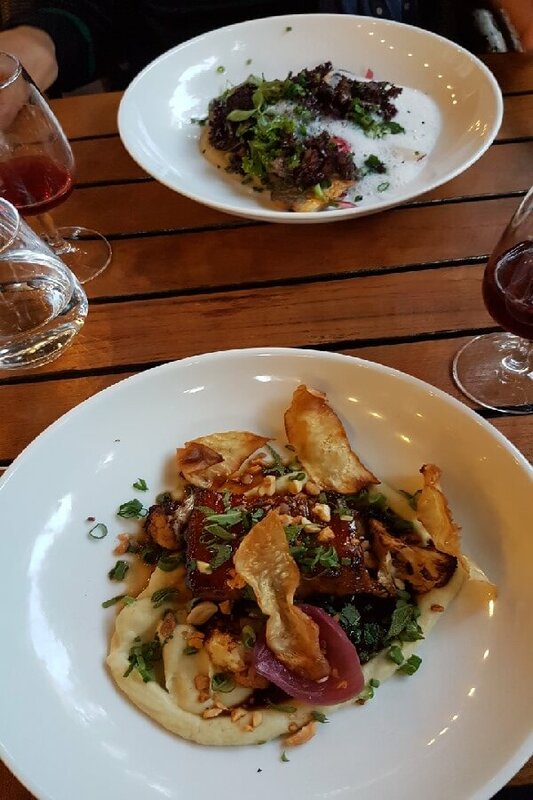 So delicious, and such wonderful service, it was definitely worth the walk from the Vieux Port for its authentic experience. 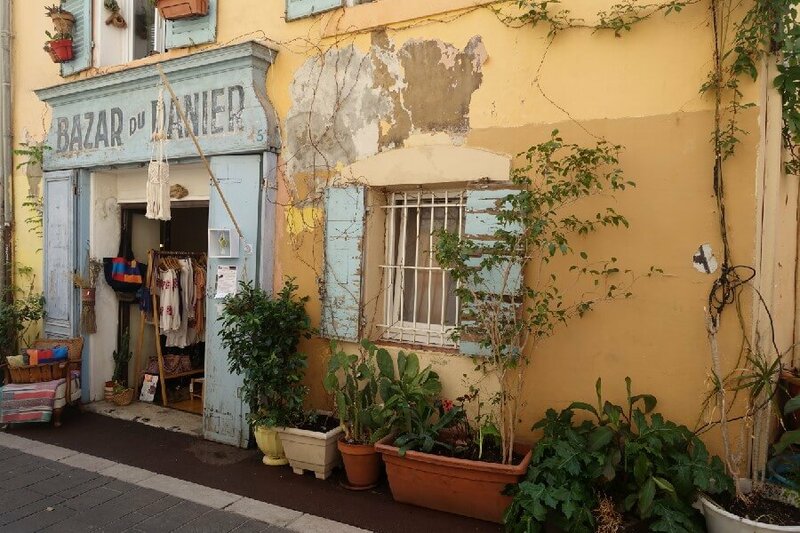 After our day trip to Cassis and our fabulous lunch there we weren’t terribly hungry for Sunday dinner, so went for a wander around the backstreets near the hotel to find somewhere. We landed at Le Fuxia, an Italian traiteur on rue Saint-Saëns on the eastern side of the port where we enjoyed a charcuterie share plate accompanied by an Aperol spritz. I know, not very French, but still great. 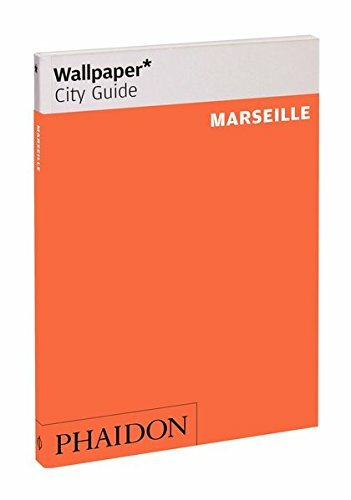 In summary, is Marseille worth visiting? I have to say, absolutely yes, Marseille is definitely worth visiting. In fact, as you can see, we found a weekend was just too short to cover everything. 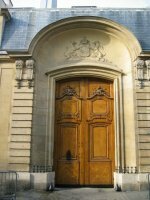 With inexpensive accommodation, great food, and delightful, friendly people I think it’s one of the best cities to visit in France. 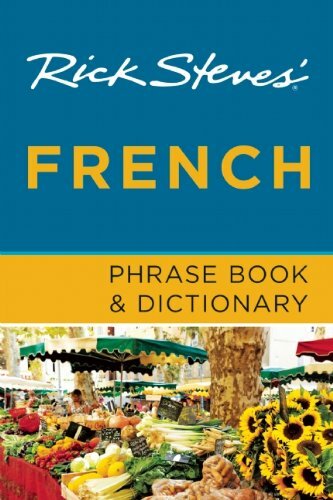 When you visit Marseille you will have an opportunity to speak French, without being replied to in English, which I know for some of you will make it one of the best places to visit in France. Yes, when you pass through on the Marseille to Nice train it does look a bit gritty, and I’m sure that like most big cities, it may even be dangerous in parts, but Marseille is also pretty, authentique, modern, vibrant and friendly. When I was a teenager there was an well known Australian band called The Angels who sang a song called “Take me away to Marseille”. I for one, can be taken away to Marseille anytime – it’s a great place to visit.